Today sees the release of what is probably the most exciting product innovation since horseless carriages. A whisky which goes against the grain in every sense of the word. Icon: reinvented. The team at The Famous Grouse, the best selling whisky in Scotland, blended a much-needed new addition to the family – The Famous Goose. Named after the not-even-remotely-famous Canada Goose, the new product is aimed mainly at young Canadians backpacking in Scotland and people who suffer from galliformophobia (uncontrollable fear of chickens, turkeys, partridges and grouses). The owner of the brand – Edrington Group – is looking to release in excess of 1m cases of the new whisky this year alone, hoping to drive the sales of their tasty-bird-related blended whiskies right to the very top of the global market, “leaving Johnnie Walker in a cloud of dust as (their) gaggle of expressions trots past the Red Label” – as one executive from Edrington told Edinburgh Whisky Blog over a Smirnoff Ice (asking not to be named). 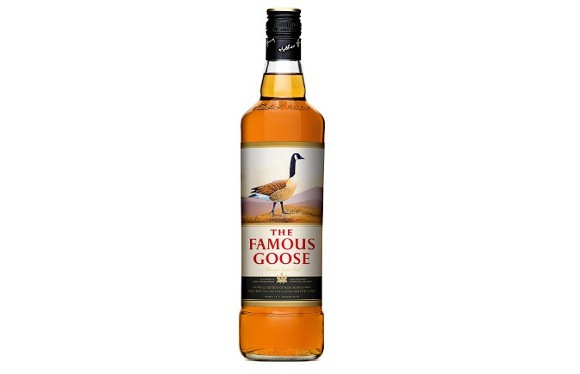 It is rumoured that The Famous Grouse management has already appointed London-based AMV BBDO creative advertising agency to discredit The Famous Goose as a sham at a staggering cost of £12m for a single global campaign. AMV BBDO spokesperson was not available to comment this morning. 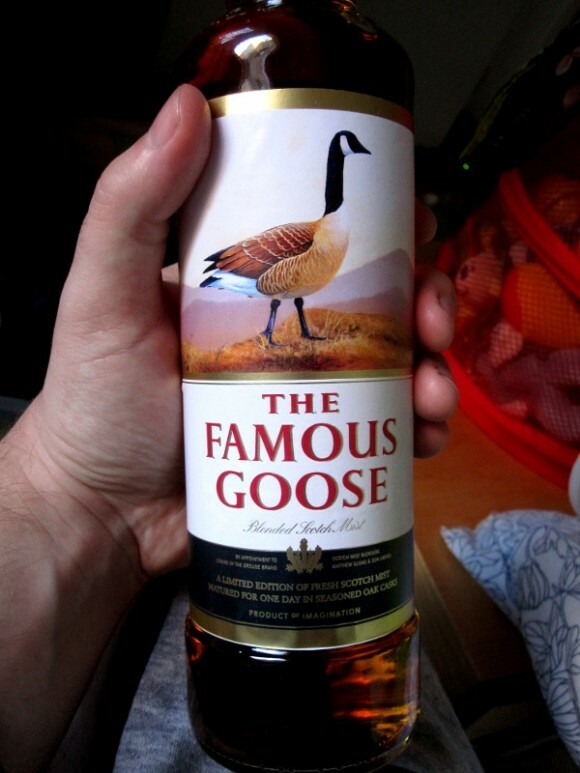 Us being us – awesome and all – we received a review bottle of The Famous Goose yesterday. And so we give you our very own thoughts on the spirit that will revolutionise the way we think about blended Scotch whisky. Palate: Wow, this is just like a goose… and not exactly roasted. A live one. Overall: This dram will be called one-dimensional by the critics. But I think it’s single minded, it knows what it wants and it delivers! Hats off to the master blender who managed to make a whisky smell like a wild goose. Plus, it’s made with bits of real goose so you know it’s good! This entry was posted	on Sunday, April 1st, 2012 at 8:06 am	and is filed under News. You can follow any responses to this entry through the RSS 2.0 feed. Responses are currently closed, but you can trackback from your own site.